A couple’s wedding day is said to be the most important day of their lives. One particular couple decided to risk their special day’s memories by only shooting the photographs and video using an iPhone 4. Sure the iPhone 4 has a very good quality camera but is this taking it a little too far? Well it is not quite as risky as it seems, the couple brought in professional photographers and videographers for the big day and the results are quite impressive. Of course more than one iPhone 4 was used in gathering all the footage and the final editing we assume wasn’t done on the iPhone either. Either way it is apparently the first time that this has been done. Take a look at the video after the break. Let us know what you think of the final result. 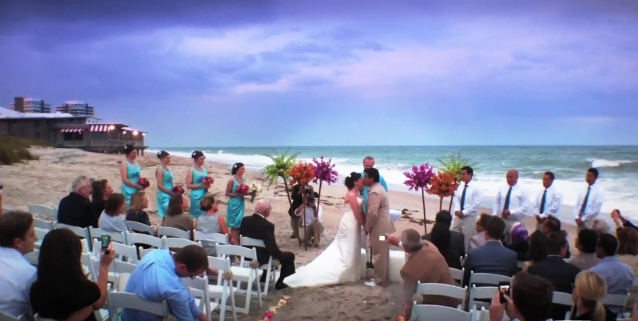 Would you risk an important occasion such as a wedding solely to the iPhone 4’s camera?